My 27th week of pregnancy has been mostly spent at the hospital. Thankfully nothing baby-related (and mostly as a visitor, actually), aside from an appointment I had with my kidney consultant on Tuesday. This in itself was something of a happy anti-climax as everything appears to be completely normal. There’s no trace of protein in my urine (a sign that my kidneys might be struggling) and all my blood tests support the view that my kidney function is absolutely fine. I’ll see the renal consultant again though at 36 weeks, I assume just to check that everything is still normal. 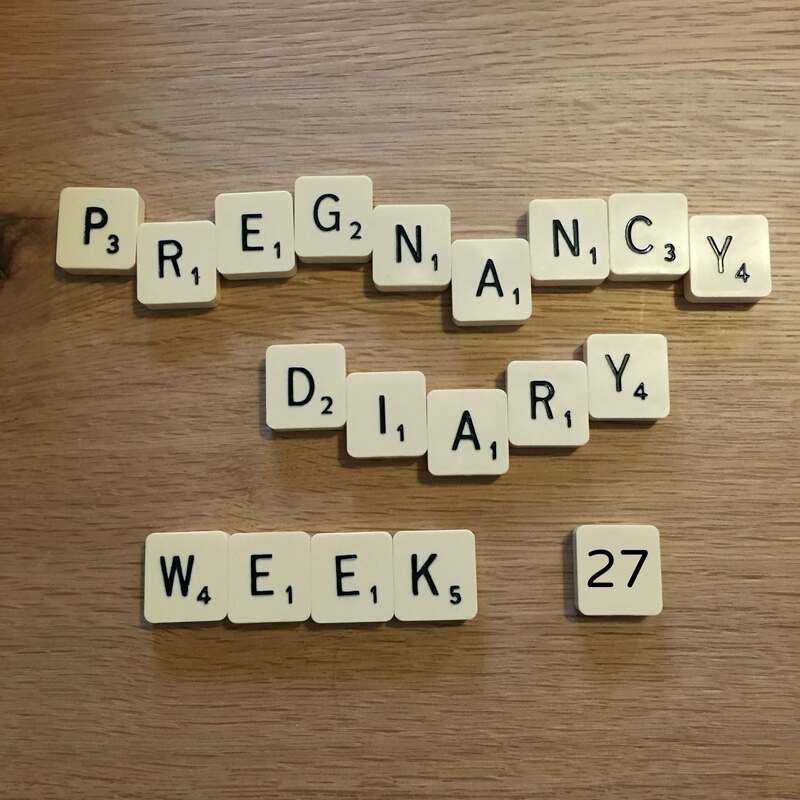 This coming week I’ve got an appointment with the midwife and another scan, so I’ll have more to update on that front. Mostly I’m just looking forward to double-checking the gender of the baby at the scan, as we only got an ‘I think’ last time and we’ve heard from two people we know since then that they were told they were having a girl at 20 weeks, and then a boy came out! If we can have a little more certainty then I’ll feel more confident about cracking on and buying some clothes. We had our travel system delivered this week, which I must admit we’re both rather excited about! It’s all starting to get more real, which is nice. We’ve had a decorator in to give us a quote for painting the nursery and stairs and landing (we ran out of steam for painting once it came to that part of the house!) but I have to say I’m not having much joy choosing a colour. I bought several testers this week but they’ve all turned out much darker than I expected and hubby doesn’t like them. But then he’d happily live in a house where every room is magnolia!